Print from your Smartphone and tablet. Conserve resources and save paper. Increase productivity and finish scanning jobs faster with this network-ready multifunction printer that features single-pass, dual-head scanning. Convert pages to digital files for easy distribution and storage, and make flawless copies. Easily handle jobs to stay productive, using the automatic document feeder. Simplify workflows by accessing, storing, and printing business content quickly with a 3.5” color touchscreen. Optimize color settings and get vivid results with incredible resolution. Print from your Smartphone and tablet via HP ePrint. 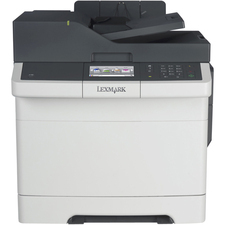 Machine Functions: Copy; Fax; Print; Scan; Printer Type: Laser; Maximum Print Speed (Black): 31 ppm; Maximum Print Speed (Color): 31 ppm. 3" x 5" to 8 1/2" x 14"
5 4/5" x 8 3/10" to 8 1/2" x 11 7/10"